It seems to me that, no matter what I do, there will always be someone who undermines the community and sells fake Lululemon items. They might call them “replicas,” but they’re fakes. They are NOT the same Lululemon, nor are they ever the same quality. 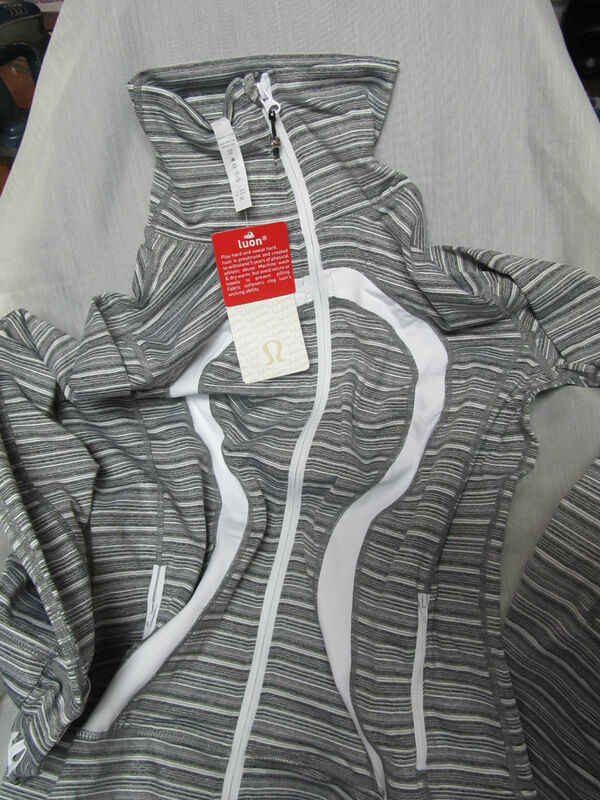 Many sellers on eBay will sell a combination of authentic and phoney Lululemon items in order to avoid getting caught and unfortunately, many consumers have difficulty distinguishing between authentic and counterfeit Lululemon. They make all sorts of claims regarding authenticity and quality, but they infringe on copyright laws and international intellectual property laws, preying on unsuspecting consumers and earning a hefty profit. 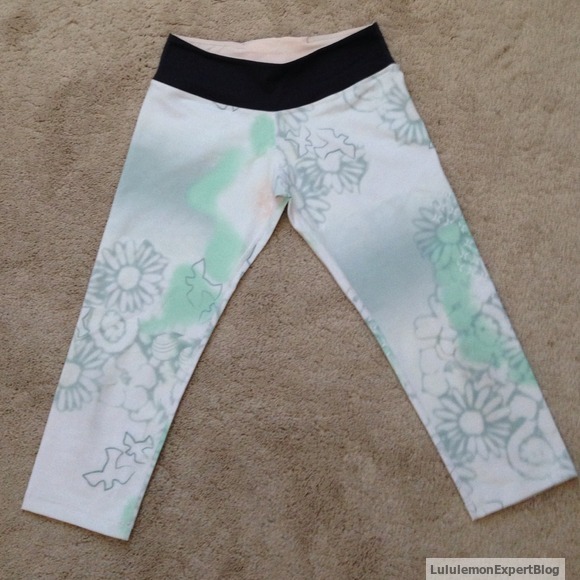 Related: I recently wrote a post on “What to do if you accidentally bought Fake Lululemon.” If you read this post and discover that you have, this related post will tell you what you can do about it. Here are a couple of examples of a fake/replica/counterfeit Scuba Hoodie. Note the fact that “Designed” is spelled incorrectly as “Designde” and the shape is the “OM” on the top of the Hoodie is questionable, to say the least. I intend to continue to add examples of fakes as I encounter them. Please be aware, and if it seems too good to be true, it may very well be. While the danger of buying fakes exists on eBay, there are also many websites dedicated to selling fake Lululemon items. Their web pages are convincing and they tout excellent exchange policies and guarantee authenticity, but the truth is, that once they have your money, they won’t care about how satisfied you are with their product. The worst offender, in my opinion is Ali Express. They steal stock photos from Lululemon’s website and advertise that they sell wholesale Lululemon at discount prices. 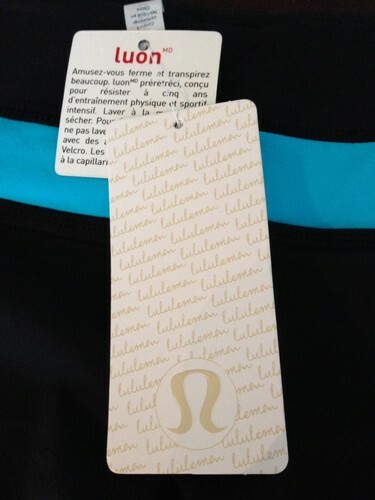 Lululemon states that it ONLY sells in its stores, on its websites (which are listed) and in select studio partners. This information is located HERE. Oh, and all those positive reviews on Ali Express? They’re fake too! For real information and reviews on Ali Express, check here or you can look here. You can also look here. Ali Express is not the only seller of fake Lululemon, but they are the first google link for searches like “cheap Lululemon,” so I’m sure they get a lot of web traffic. By the way, the fakes do not look like they do in the pictures on the website, and the fabric isn’t the same quality either. The second reason being the tag. If you zoom in, you can see the words “made in china.” The “c” in China is not capitalized, but if you compare an authentic Lululemon tag, you’ll see that the “c” IS capitalized, which is grammatically correct. 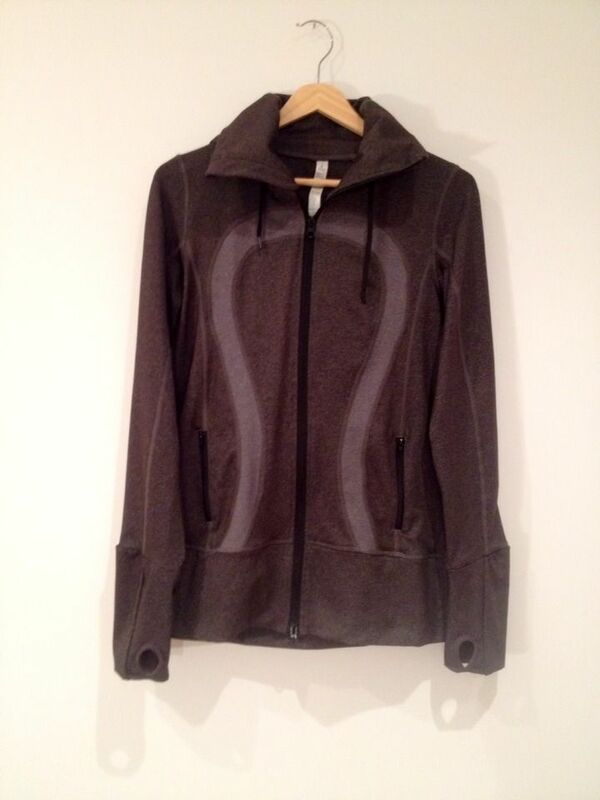 The third reason that this is an obvious fake is because Lululemon never made a brown & pink Stride jacket like this. Sometimes the colors of fakes are so similar to the real ones it is difficult to discern simply from a photo whether it is a fake or not, but not this time. I hope to continue to add more as I encounter them. 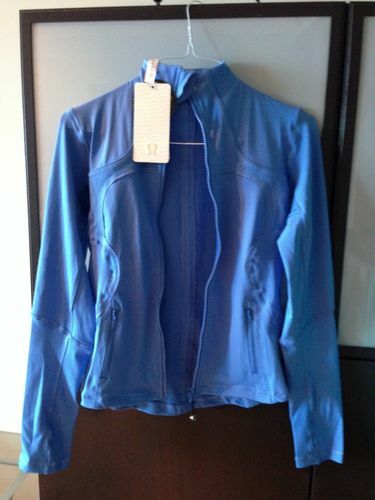 UPDATE: I found a few photos of a fake Forme jacket. Look at the seams on this Forme jacket. 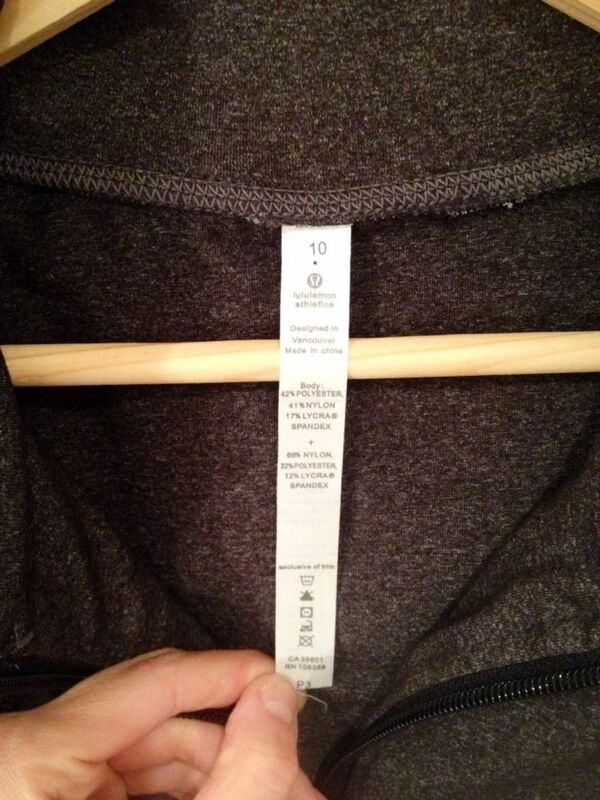 One of the ways you can tell this jacket is fake is that Lululemon never attaches hang tags to rip-out tags. If you see it done this way, it’s a fake. 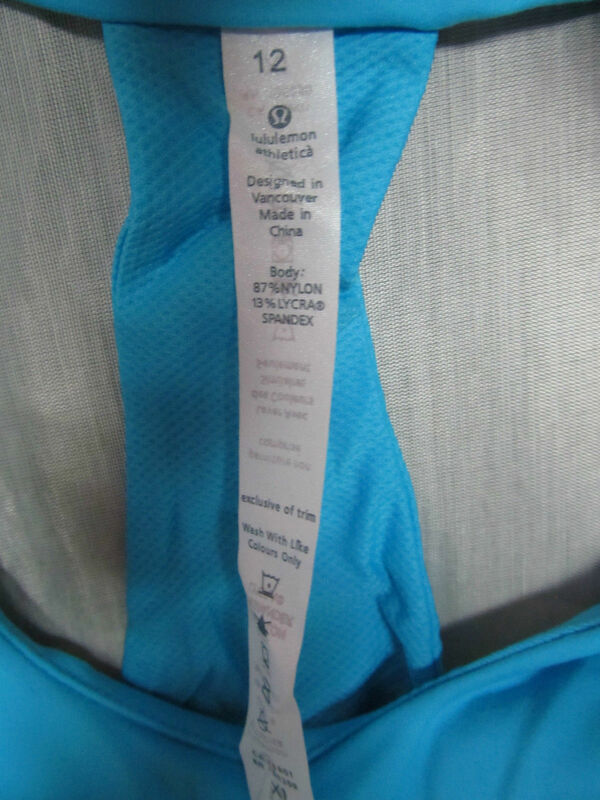 I also found fake Wunder Unders with the tag attached on the rip-out tag, as well as another fake Scuba Hoodie. 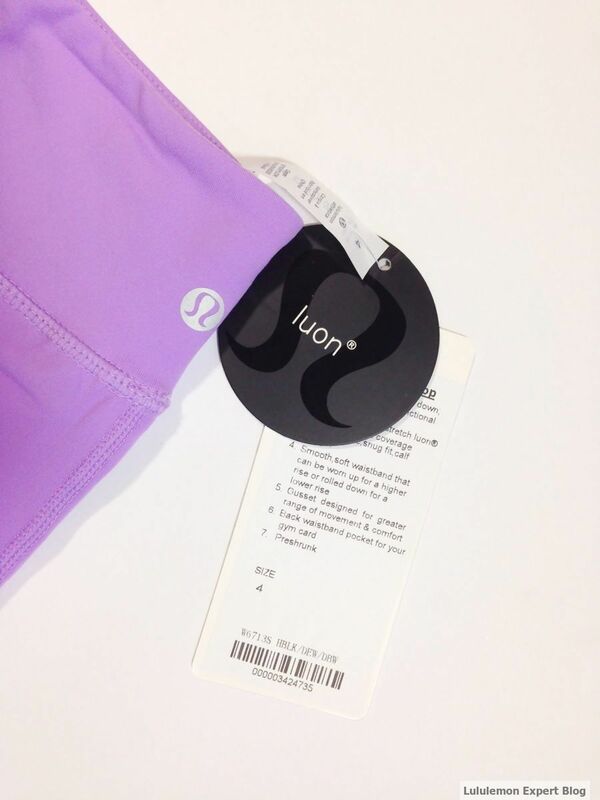 You can tell that they’re fake because Lululemon does not attach tags onto the rip-out tag. If you see this, that means it’s fake. 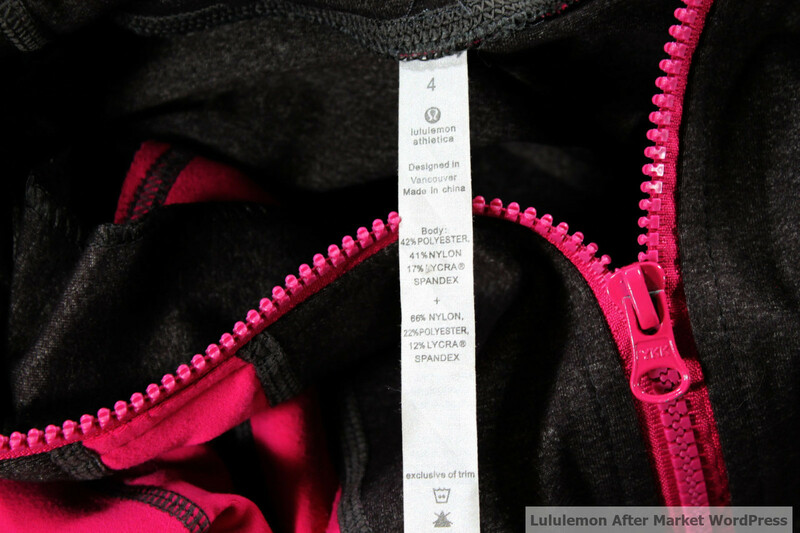 While the give-away here is obviously the hang tag attachment point, I will also encourage you to consider again, the shape of the Lululemon Logo, and while they can correctly copy it onto tags, it is rarely sewn properly onto the garment. The shape is once again, incorrect. I hope to continue to add more examples of fakes to this post. I want to add that there are multiple websites that sell fake Lululemon. Not just Ali Express. 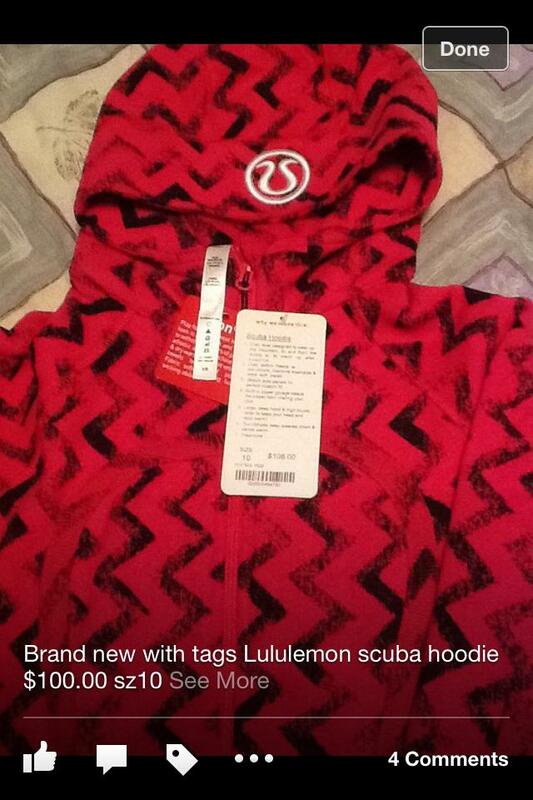 This isn’t real: CHEAP LULULEMON, This isn’t real: LULU @ LOW PRICES!! 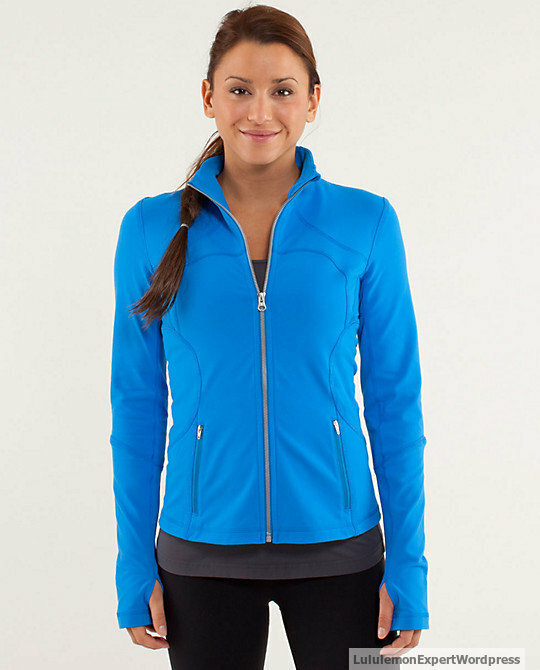 !, There are tons of fake Lululemon websites with very convincing fronts. Their photos are stolen from Lululemon’s website and the product you see will not be the product you receive. Please remember that the ONLY websites that Lululemon sells their products on are listed HERE. Found another fake on eBay. 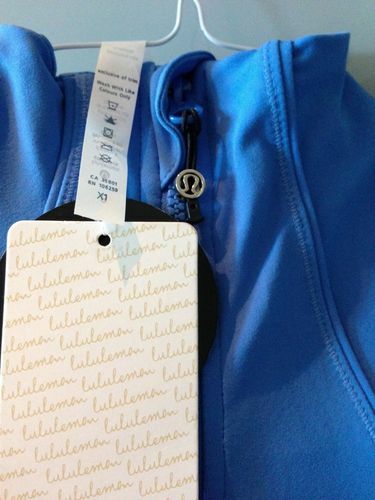 As you can see, the HANG tag is attached at the RIP-OUT tag, which, again, Lululemon never does. Can you imagine trying on pants with the tags attached there? Yikes! And what’s with that weird bag that says: LU- W06? 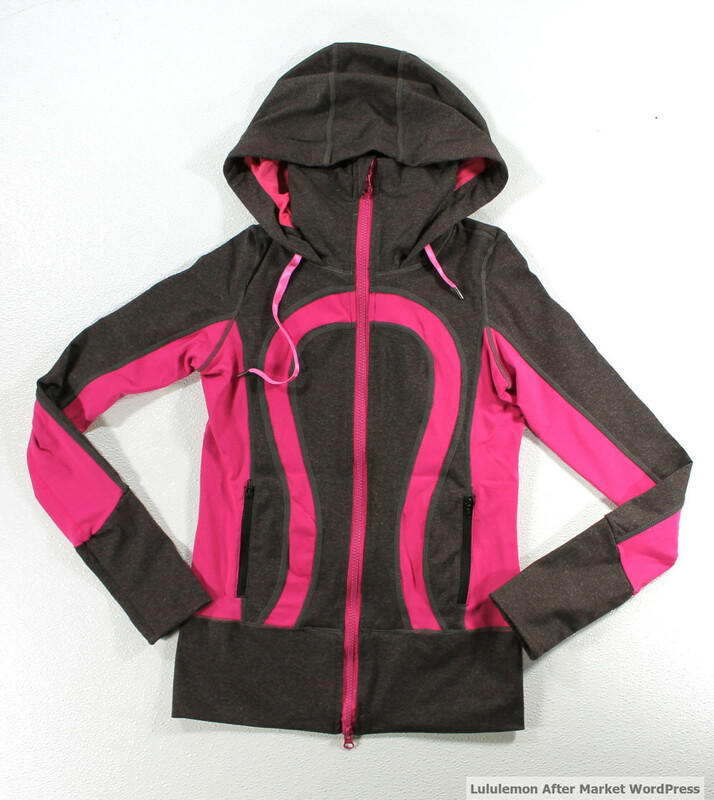 I found more pictures of a fake Stride Jacket on ebay, from a seller with ample feedback. 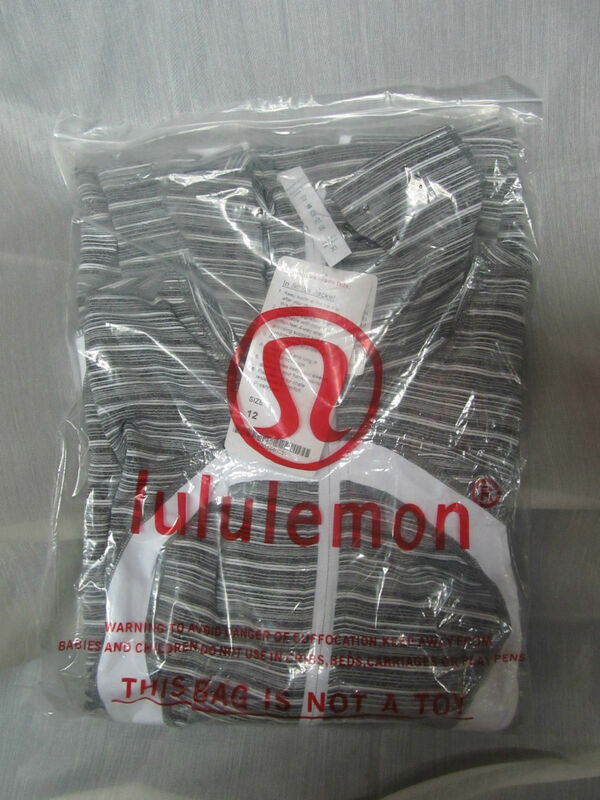 Have you ever received Lululemon items in a plastic bag like this? I haven’t. Notice how the stripes don’t even line up in the logo? That’s not Lulu quality. Again, the tags are attached like this, onto the rip out tag. Can you imagine trying something on like this? 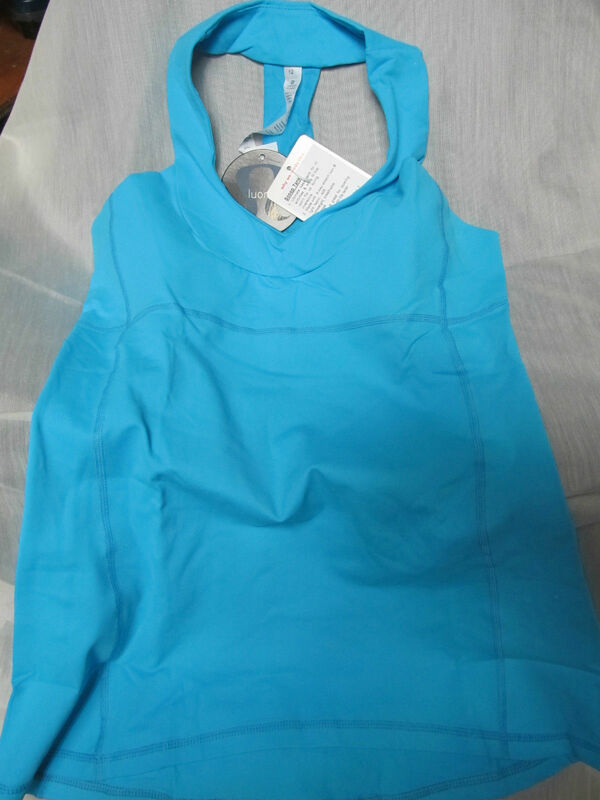 UPDATE: The same seller who sold the Stride last week is now selling a fake Lululemon Scoop Neck tank. Sometimes the rip-out tags have everything spelled correctly, like in this example. However, sometimes the product information tags are completely ridiculous. Particularly when there’s a suggestion that I can wear a bra under a top that has a built-in-bra, as seen in this picture. So much wrong with that product tag. I hope all of these examples are useful. Two major things are wrong with this one. 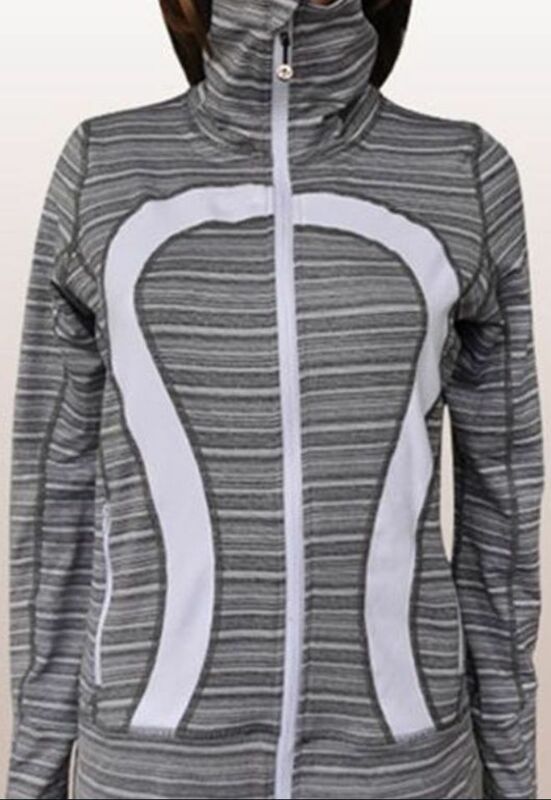 One: Lululemon never made a Scuba Hoodie in this print. They made a Grey version called Blazer Fossil. But there was never a red version of anything in this print. 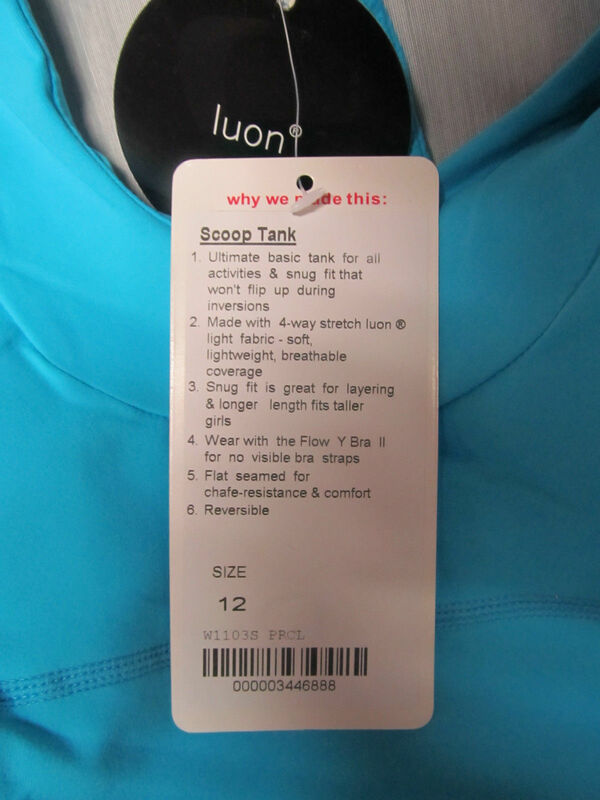 Two: See the “Luon” tag (again, mistakenly attached to the rip-out tag), Scuba Hoodies are NOT made of Luon!! 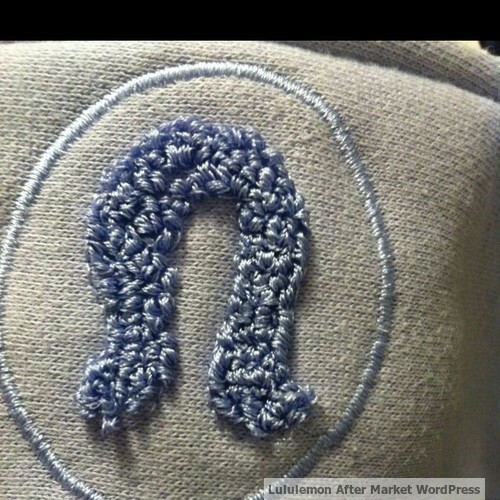 They’re made of Cotton Fleece, according to Lululemon’s website. First you want to make sure it’s actually fake. If you’re convinced it’s a fake you’ll want to consider the payment method you used. If you payed cash or EMT, you’re probably not going to get a refund. If you paid EMT however, you might be able to find a name & report the person to the authorities for fraud. If you paid with PayPal as goods, you’re totally covered and can get your money back. Just consult with the seller & make your complaint. If the seller is unresponsive, open a case with PayPal & they’ll return your money once they’ve confirmed via tracked shipping that the parcel has been returned to the seller. If you paid with PayPal as gift, you may still be able to contact PayPal and they may grant you a courtesy refund, but I wouldn’t recommend paying as gift ever. It doesn’t protect you to pay as gift. If you did pay as gift, and the money went through your credit card, you can also call your credit card company to see if they’ll refund your money. Other than that & calling the authorities there’s really not much else you can do. I recently saw these and I chose to post them because they are a unique type of fake. This pattern WAS made by Lululemon but these are obviously fakes. A few reasons: the plastic covering over the size dot, the existence of a “I belong to” tag and finally, a small misspelling in the rip-out tag. The reason these might be deceiving is because this print was in fact made by Lululemon in 2009 and is called Mix A Lot. These Wunder Unders, however, are fake. 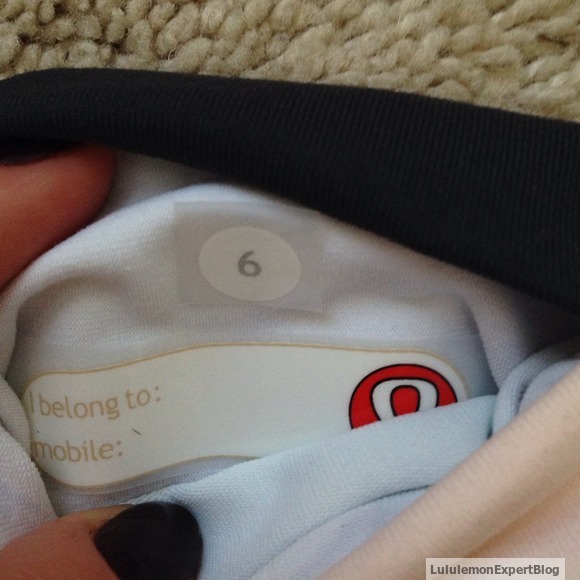 The hallmark of fake Lululemon articles is the obvious plastic film over the “I Belong To” tag and size dot. I don’t believe these Wunder Unders ever came with an “I belong to” tag, but in any case, Lululemon never has plastic film over their size dots. UPDATE: I found these on eBay, from a seller that has a decent amount of positive feedback. Unfortunately, this tag has a ridiculous description, in addition to being attached at the wrong place. It says “smooth, soft waistband that can be worn up for a higher rise or down for a lower rise,” which is completely false. These are not “roll down” wunder under crops, and they’re also not HBLK (the color code it says at the bottom), which is “Heathered Black,” nor are they DEW, or Dewberry, which they also claim to be on the product tag. Here, the product tag is attached to the rip-out tag (again) but also, as is often the case, the description is wrong. 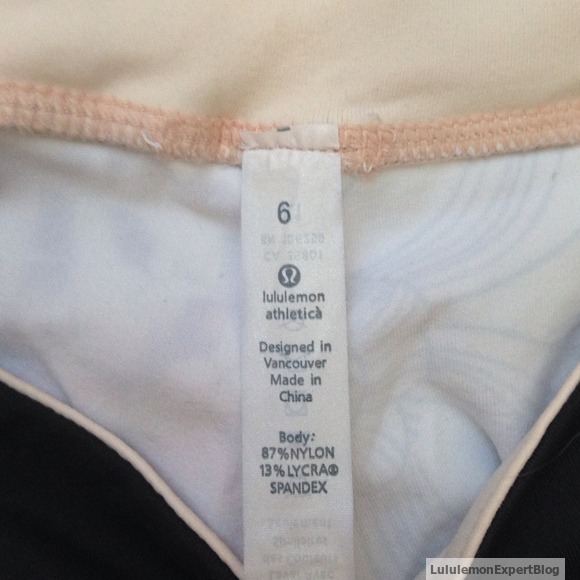 I decided that it would be a good idea to add an update to this post about where you will most likely find Fake Lululemon items for sale. Locally, you’ll find it on websites like Kijiji or Craigslist. I would be cautious, overall, inspecting the product closely, in person, before the exchange. I don’t necessarily want to discourage anyone from buying locally, the local deals can be the best deals! BUT If someone is selling the same item in multiple sizes, I’d pass. Online there are many places you’ll find fakes. 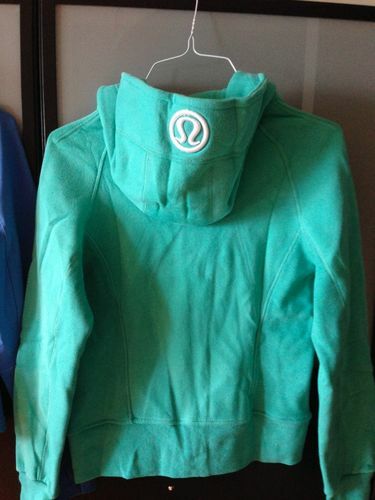 It’s actually quite rare to find a fake in the Lululemon based Facebook groups because many of the ladies who love Lululemon as much as I do can quickly spot a fake. However, there are many places online that sell fake Lululemon. I’m going to start writing and maintaining a list, much in the way I’ve been periodically adding photos to this post. 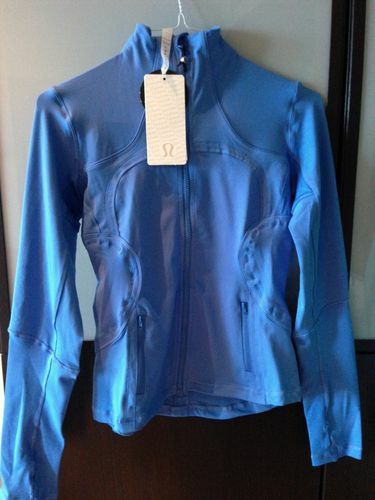 I will also remind you that Lululemon does not sell wholesale and that they have posted a list of official sites where they sell their clothing in their FAQ section..
On ebay, you can buy a “”Fly Away Tamer”” for $11, 3 whole dollars less than at Lululemon. At the end of the year, WordPress tells you which of your posts is bringing the most traffic to your blog. This post topped that list. I want to express my appreciation for those of you who are as concerned as I am about the existence of fakes and replicas of Lululemon clothing. WordPress also suggested that I write more about this topic, considering the popularity. I have one idea for a post, and I’m interested in hearing any ideas you have that might help others, in general, but also if there’s anything you think I should write about. I am not going to do a new “fakes” post, even though, I think that would bring more traffic to my blog. I prefer to write useful posts that have the potential to help people. Please let me know what you’d like to see me write about. First, if the listing is for a common item (think Wunder Unders, Scuba Hoodies or Groove pants), I always keep my guard up especially for common colors (like black). Anything New With Tags listed significantly under retail should be an immediate red flag. A few dollars under retail, to encourage bidding, I can see, but a “Buy It Now” under retail or a starting bid of a dollar on a 3 day auction would set off an alarm especially if it were a common item that is often faked. Secondly, the listing should include photos of the actual product. If there are only stock photos that is a red flag. In some cases it could mean that the seller doesn’t possess the item and in others, it means that the seller knows that they’re selling a fake and that the fake may be obvious to a skilled buyer and that the seller is afraid of being reported to eBay for selling fakes. If you check your seller’s detailed feedback, which I always do before I make a purchase, you should be able to see everything they’ve sold for the past little while. If they’re selling only items new with tags and they’re of varied sizes, this should also be a red flag especially if these items are going for significantly under retail. I hope the above tips help! Let me know if there’s anything else you’d like to see on this topic! Today, while perusing eBay, I discovered a fake Define. I took a couple of screen captures, and thought it would be good to share them here. 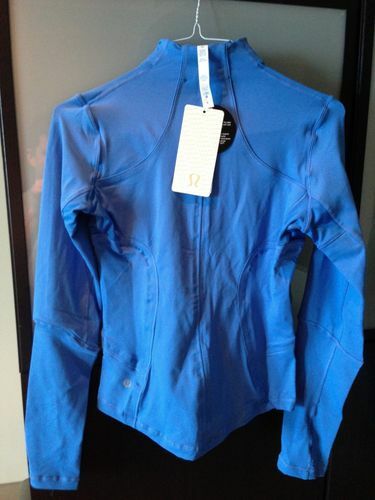 The first photo of this fake Define jacket, shows the hang tag incorrectly attached at the top of the neck. The second photo, shows shoddy stitching on the left wrist/ thumb hole area. Found these on eBay. They’re particularly concerning because Lululemon actually did make this “Beaming Blue/ Laceoflage” color, so I was almost duped until I saw the tags. Again, the tags are attached to the rip out tag, so that’s wrong. Next the tags themselves are not correct. Finally, a lot of the stitching appears to be of poor quality. I realised just a moment ago that I haven’t mentioned the “rip out” tags themselves in terms of feel. The fake ones tend to feel silkier than the authentic ones, but most of all the real ones will rip out easily. They are designed to do so. If you can’t easily rip out the tag, there’s a chance your item is not authentic. Alternatively it is very old. Some very old items either have the tag printed right on the garment, and other very old items will have a short tag that is not designed to be ripped out. Again, always be cautious about “New With Tags” items. I hope this adds value to this article, and as always, thanks for visiting! I also recently found this fake Bang Buster. This made me especially sad because I absolutely love the Band Busters. But this is an obvious fake. Begin by noticing the attachment area/ method of the price tag, and then notice that the writing is incorrect. 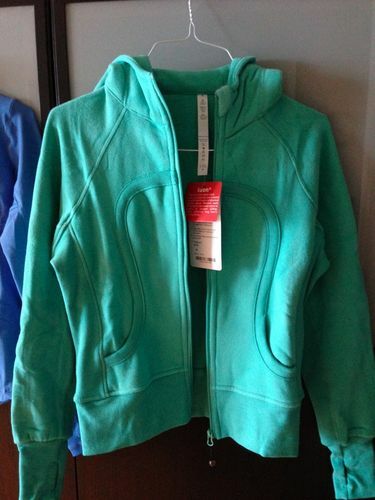 Second, this color was never manufactured by Lululemon. The one part that might fool a potential buyer, in my opinion is the effective duplication of the signature Lululemon metal logo on the side. 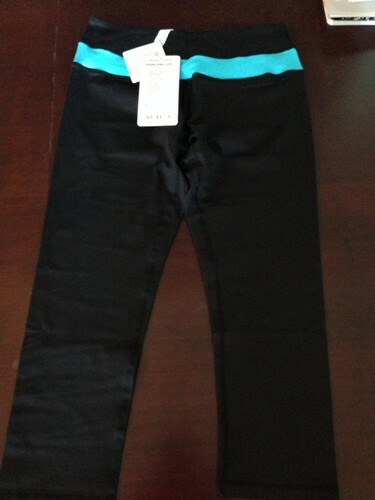 I hope no one is fooled by this fake Lululemon Bang Buster! Again, just notice the attachment of the tag. Also: the seller did not provide very good photos. From a reader, thanks to Ms. R for these photos. Unfortunately, this is a fake Stride. First off, notice the “OM,” is not like other Strides. 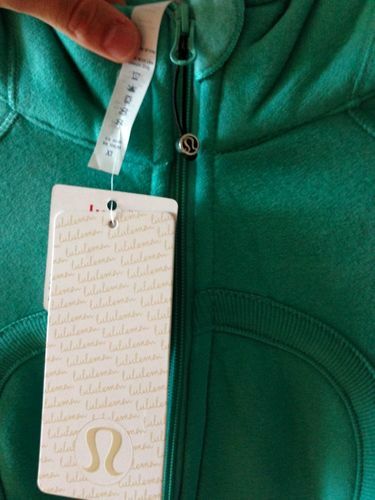 The tag, although correctly written, is attached too high, and does not “Tear out” like other Lulu tags. There is a “mesh” in the hood, which I’ve never seen before. Then, of course, the tell-tale sign of fakes, the plastic film over the name tag and size dot. UPDATE (Oct. 2016): Hello again everyone! It’s time for another update! Here, again there are some signs. First thing I immediately notice is the strange font on the tag. Also, number 4 on the tag is hilarious. There is no gusset in a tank top. I am going to reach out to you at the email you have on your about me page regarding a Lululemon logo that I have been unsuccessful finding information on. It is not the silver omega. It is more like a shield. Hello! I will check out your email! Lemme take a gander! I’ll let you know what I think! 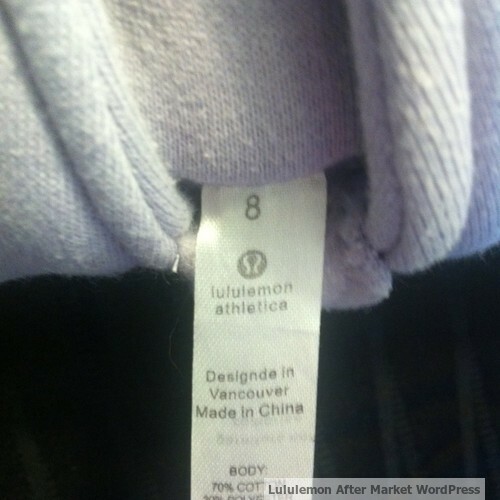 How to Describe the Condition of Your Lululemon Item. LululemonExpert.com: Unauthorized use and/or duplication of this material without express and written permission from this site’s author and/or owner is strictly prohibited. Excerpts and links may be used, provided that full and clear credit is given to lululemonexpert.com with appropriate and specific direction to the original content. Some links may be affiliate or referral links. These links help keep the ads on this blog to a minimum. Thank you for continuing to support me and my blog. I am a participant in the Amazon Services LLC Associates Program, an affiliate advertising program designed to provide a means for me to earn fees by linking to Amazon.com and affiliated sites.